Your gift could provide transportion assistance to treatment. Your gift could provide education programs. Your gift could provide mammograms. Your gift could provide food and lodging during treatment. Your gift could support cutting-edge research. 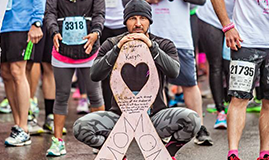 Thank you for making a donation on behalf of 2018 Komen Oregon and SW Washington Race for the Cure.